This next car comes as a tip from Matt C who writes: Only slightly less unexpected than the Spanish Inquisition. 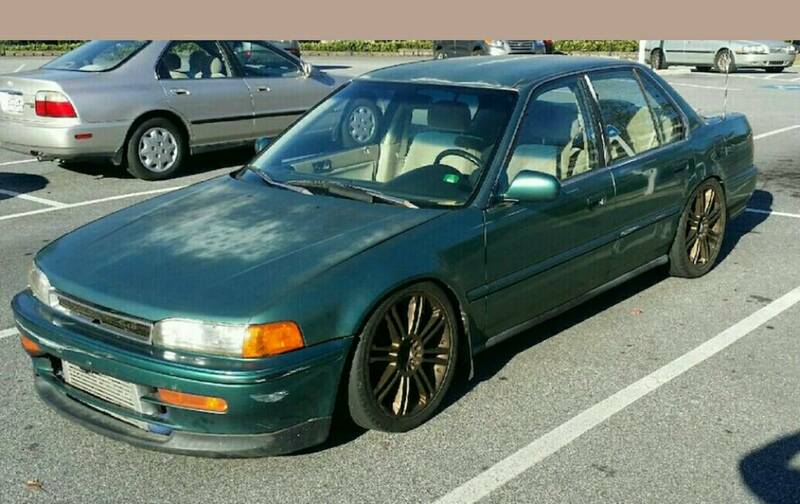 From the side, you wouldn't expect anything serious going on - just an old Honda with some cheap rims. Plenty of cars out there with a few cosmetic mods and not much money under the hood, and there's not much aftermarket for early '90s Accords. But then there's that big front mounted intercooler. And it doesn't lie - there's a turbo under the hood, all right. Could be an interesting sleeper if it's tuned right and making any boost. 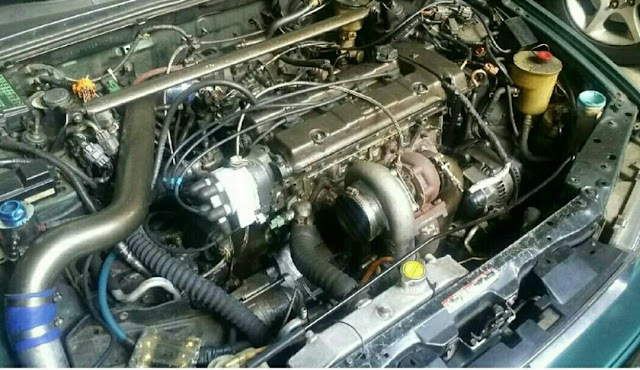 Find this 1993 Honda Accord Turbo offered for $2500 in Atlanta, GA via craigslist. The above one could use some cosmetic love but seems like it could be a fun project. 90-93 Honda Accord was the best all around car period. If they could be produced today they'd sell every one they made. Weird though that it only lasted four model years before a complete restyle. Product cycles sure used to be a lot shorter. It is true. And the later models for a long time were of lesser quality. This generation really felt like was influenced by Acura. That blunt nose was the best. Like the late 80s Maxima, these always looked like a proper touring car to me. I’m not sure if I would address the cosmetics at all here. Like Matt says, this one is nicely subtle in its own way. Best car I ever owned was a 1992 Accord LX 5-speed. In terms of reliability, it was absolutely bullet-proof. But after 275k miles, 125 hp just wasn't enough to keep up with traffic on Atlanta roads. Dang, I miss that car. I should have kept her & shoehorned a K24 under the hood. I have a 93 Honda Accord, now it still working good!